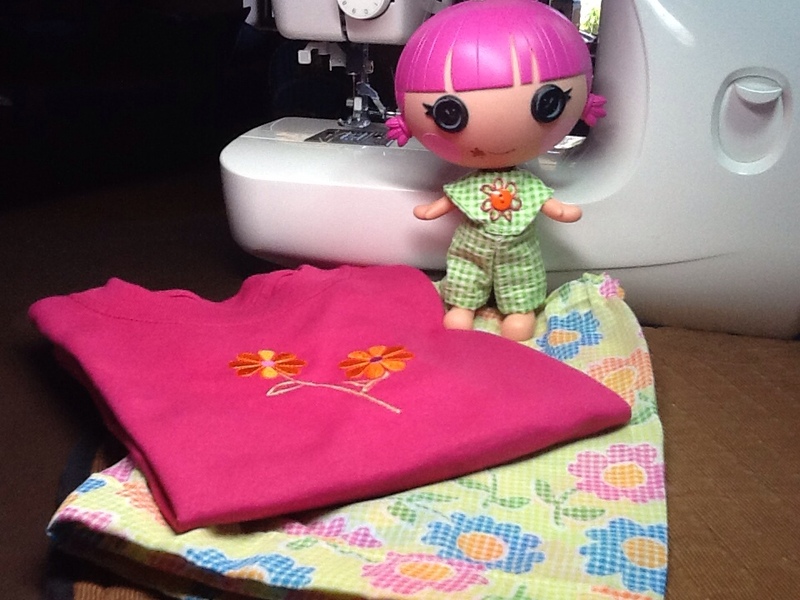 This year I'm making Jammies for our granddaughters' birthdays and a matching outfit for their Lala Littles! The beginning of this month was Matty's 6th birthday and today we celebrated Hannah's 6th birthday! They grow up way too fast! 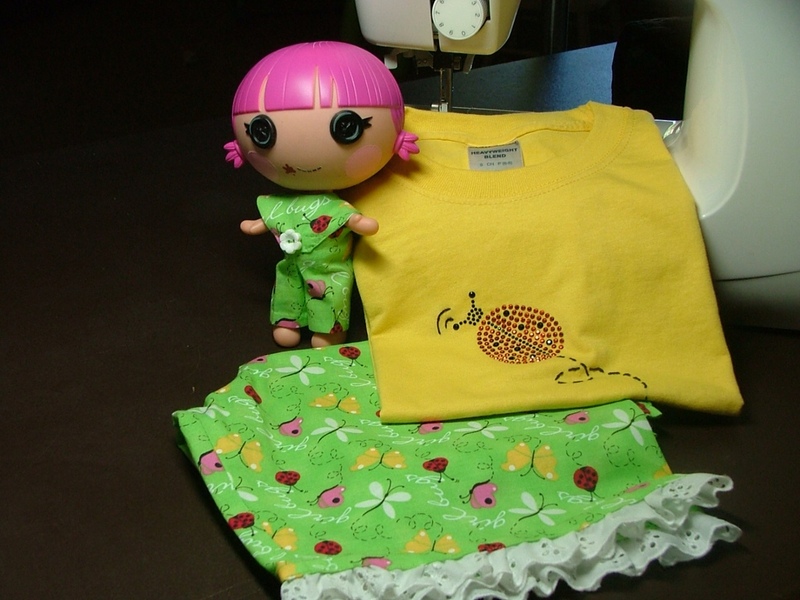 I loved it when I was little and my Gram made me and my sisters floor length flannel nighties or clothes for our dollies! And now my Grands look forward to what their Gram will make for them! Tonight at Hannah's birthday party one of her cousins asked me if I was a designer. I guess I am, at least for their dollies! Aren't the doll jumpers cute? I hand stitch these because they are so tiny. It makes a nice project to work on while sitting in my recliner in the evening. Matty's Jammies and Lala Little in seersucker jumper. Hannah and Lala Little's LadyBug. I found the youth T-shirts at Joann Fabrics on sale at 4/$10. I waited to purchase the iron on flowers and this ladybug at a reduced price with my 40% and 50% off coupons. I embellished the iron-ons with added embroidery stitches. 3 granddaughters' birthdays down . . . 1 more to go . . . Over at Julie's!!! What sewing or craft projects are you working on?